I was born in Oklahoma and raised in Puerto Rico where my Parents were from and all my life since I can remember I was interested in natural remedies, I saw this practice in my Grand Parents and it was what turned on the passion in me of helping others in need. 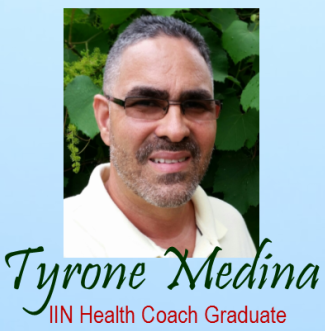 I came across IIN (Institute For Integrative Nutrition) when researching online for a Holistic Nutrition School and it was love at first sight. They helped me step by step to make it possible for me to be where I am today, I am grateful to Joshua and all there staff.